Air Conditioning Commercial & Industrial, Air Conditioning Home Keeping it COOL 24/7 Repair to domestic fridges, cold/freezer rooms and anything that makes things cold. Advanced Air NT has been operating in Darwin for 15 years and have developed a local name people know and trust. Dean Gebert is the owner / operator of this company and has been working in the air conditioning industry in Darwin for some 25 years. Dean has been in Darwin for 40 years and has seen good workmanship right through to the worst things you could think of. Because of this, Reliability, Efficiency, and a dedication to customer satisfaction are what Dean strives for within Advanced Air and among his entire workforce. With these in focus Dean has brought Advanced Air into the cloud age and has installed the latest in job management technology to ensure our service to our customers. 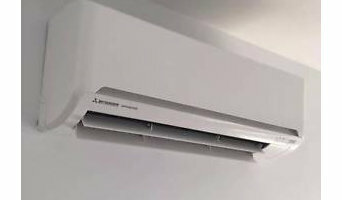 Proudly supplying and installing Panasonic air conditioners since 2001 Advanced Air NT have been able to develop a long standing relationship that allows us to Supply and Install Panasonic air-conditioners at extremely competitive prices to our valued customers in Darwin and Palmerston. See our full range in our online store. Established in 2005, The Cool Guys have become renowned in Darwin for providing quality services at affordable prices. Demand for our services has grown so much that we have relocated to our current, much larger workshop in Holtze to keep up with our customers' needs. The Cool Guys have a proven record in managing multiple contracts across a variety of projects, so you can rely on our specialist team for all your electrical, refrigeration, HVAC and air-conditioning requirements across Darwin. We are happy to travel to remote locations. Contact us today to check our availability or to request a quote. At home, Australians use, on average, 40 per cent of energy on heating and cooling, so it’s wise to seek expert advice from a HVAC contractor in Darwin, Northern Territory on the most economical systems and models for your home. Your climate, the type of model you use and where you position it, for instance, will make a big different to your home’s comfort and how much energy you use. A HVAC contractor can also advise you on the best reverse cycle air conditioners, heat pumps, hydronic central heating and gas heating. Should you or anyone in your family suffer from allergies, they are also knowledgeable of the best anti-allergen filters and will be able to change your air conditioner’s filters, clean ducts or remove any debris around units. Other areas of expertise include refrigeration work, pool heating and dehumidification. Find heating and air conditioning contractors on Houzz. Look in the Professionals section of our website and search for Darwin, Northern Territory Heating and Air Conditioning contractors. Read reviews and see how a HVAC contractor might approach your Darwin, Northern Territory home’s heating and cooling challenges.